— NASA's original mission control briefly returns to service, recreated for the 20th Century Fox film "Hidden Figures," seven years after the historic facility was demolished and two months after its contents reopened on public display as part of a new attraction. 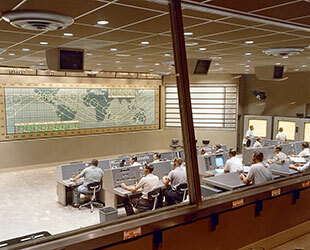 The Mercury Control Center (MCC), which was founded at Cape Canaveral Air Force Station in Florida, was active for the first seven U.S. human spaceflights, from May 1961 to March 1965. 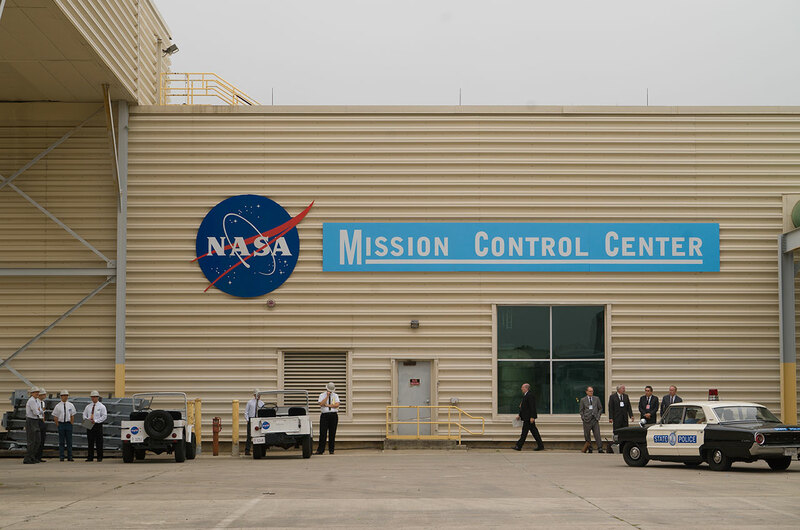 As the first of its kind, the MCC debuted the now iconic layout — tiered rows of consoles and an orbital tracking map at the front of the room — which became the model for NASA flight facilities and mission control centers around the world. "Hidden Figures," directed by Ted Melfi, tells the under-told story of the African American women who worked at NASA as mathematicians, or "human computers." The film, which opened wide in U.S. theaters Friday (Jan. 6), took in $22.8 million over the weekend, leading the box office. 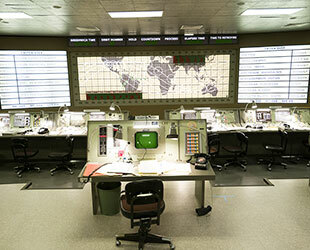 Though the movie takes artistic liberties with other settings and details, the filmmakers paid close attention to replicate the look of the Mercury Control Center. "We were very careful to honor the spirit of it," said Wynn Thomas, production designer for the film. "We did not want to get it wrong there." 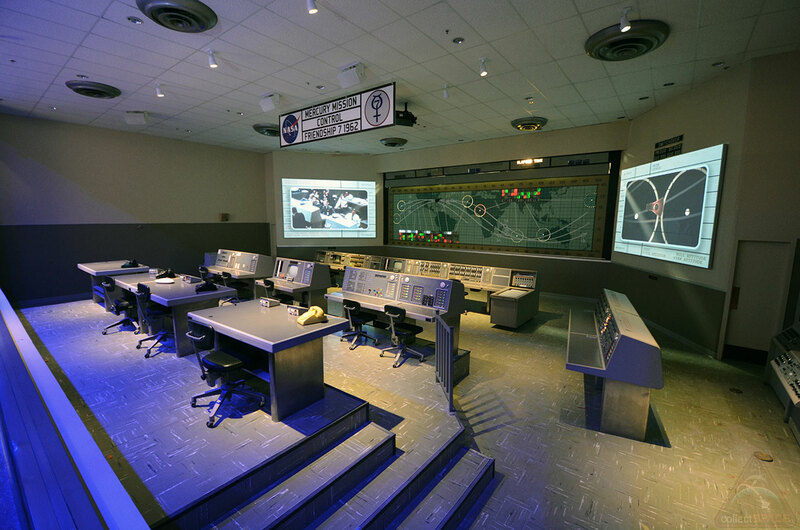 "Hidden Figures" relocates the tracking facility from Cape Canaveral to NASA's Langley Research Center in Virginia for the purposes of its story, but it is unmistakable for the room where flight controllers monitored John Glenn as he became the first American to orbit Earth. "For me, as a designer, it is always important to start with the truth, with what is real," Thomas told collectSPACE in an interview. "As a result, there was an extensive amount of research that was done." "The whole idea was to try to recreate it as faithfully as we possibly could," he said. 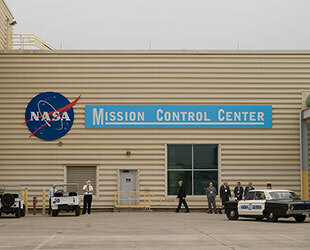 NASA's real Mercury Control Center, Building 1385 at the Cape Canaveral Air Force Station, no longer exists. The National Historic Site was demolished in 2010 after it was determined to be too expensive to restore. The facility was lined in asbestos and had suffered extensive damage due to nearly half a century of unmitigated exposure to the corrosive, ocean air that is present at the Cape. The building's contents though, were saved. 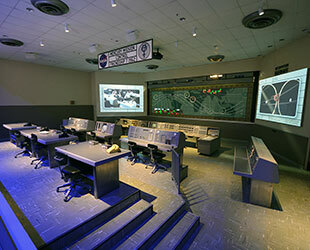 The authentic consoles and equipment were transferred to the Kennedy Space Center Visitor Complex, where the main room was recreated as part of an early space exploration exhibit that was open from 1999 to 2015. A year later, the recreated MCC reopened as part of the visitor complex's new public attraction, Heroes & Legends, featuring the Astronaut Hall of Fame, in November 2016. Unfortunately, due to the timing of the exhibit renovations, the room was unavailable for "Hidden Figures" to use. "We did see pictures of it, but that is as close as we got," said Thomas. 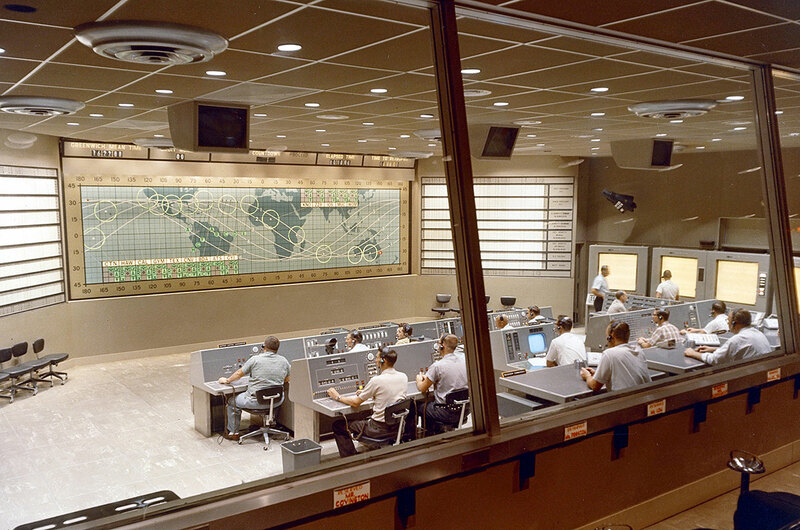 Limited to a total production budget of $25 million, "Hidden Figures" could not construct the complete Mercury Control Center from scratch. "The first challenge was to find a space where we could build it in," explained Thomas. "This wasn't a large budget movie, so we could not afford to build it on a sound stage. I had to find a place where I could build it within an existing room." The movie was largely filmed in Atlanta, Georgia and the surrounding area, which led Thomas to Emory University and the former Georgia Mental Health Institute located on its campus in Druid Hills. The closed psychiatric hospital, which operated from 1965 to 1997, was also recently used for the Netflix series "Stranger Things." "The design challenge was how to put [the MCC] into that particular space at the hospital," said Thomas. 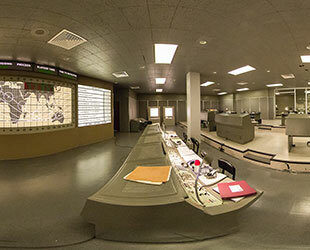 The control center had to be reproportioned for the size of the room. The consoles were obtained from a prop house, but otherwise everything else needed to be created. "We did have quite a bit to do," Thomas said. "Everything that you see had to be brought in by us for the film. All the various platform levels had to come in, the screen [orbital tracking map] had to be built — all that stuff, you just can't go out and get it off the shelf." 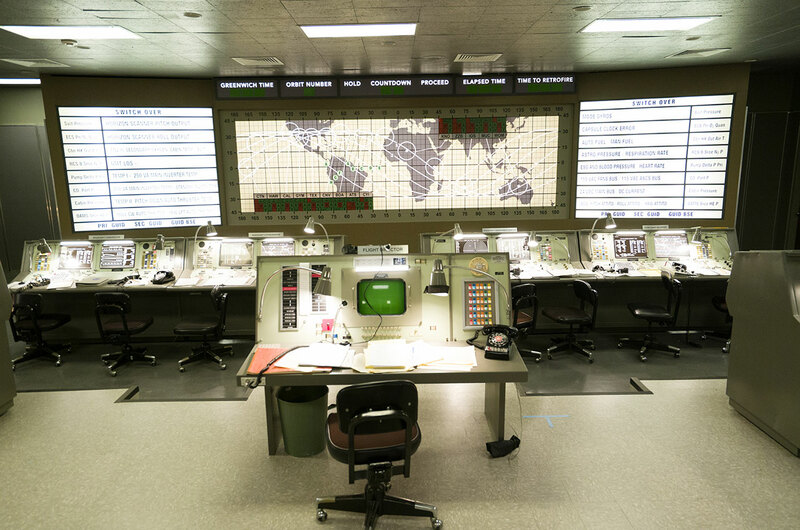 The recreated Mercury Control Center provides the setting for the climax (or perhaps more appropriately, apogee) of "Hidden Figures," as Katherine Johnson (Taraji P. Henson) provides the calculations supporting Glenn's (Glen Powell) launch. As Space Task Group leader Al Harrison (Kevin Costner) and engineer Paul Stafford (Jim Parsons) take their place behind the consoles, the movie's audiences are provided a glimpse at the original mission control in action — a scene inspired by archival film and photographs, as well as the authentic equipment now on exhibit at the Kennedy Space Center Visitor Complex. Unlike the museum display though, "Hidden Figures" room was fleeting, at least in physical form. At the end of filming in 2016, the consoles were returned to the warehouse and the room was restored to an empty space. "All of the walls and that big lovely map showing where the capsule is, all that stuff probably went into the trash," said Thomas.